Stop-Start Systems – What Impact do They Have? Despite being around for approximately 30 years, and several phases where manufacturers attempted to make them mainstream, stop-start systems have only recently found a foothold within the automotive market. Their prominence has risen as a result of a push for more sustainable motoring solutions, with European and Japanese countries at the forefront of their adoption. No longer restricted to hybrid vehicles either, an increasing number of Australians are finding themselves operating vehicles fitted with this technology. 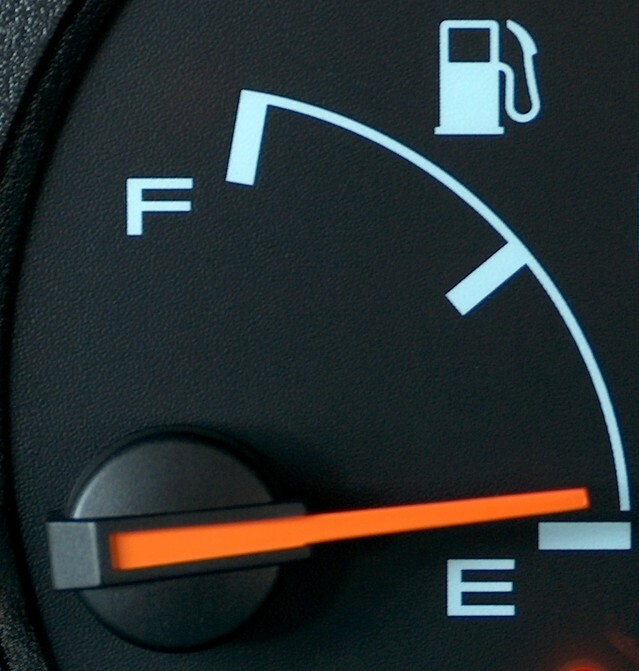 Manufacturers claim that motorists can save up to 10% on fuel efficiency, however, for many drivers, the technology is sometimes a source of frustration. This begs the question, what role do stop-start systems serve? For those unfamiliar with the technology, stop-start systems work by automatically shutting off the engine once a car sits idle – as determined by numerous methods including the break pressure, road speed sensors, or a shift in the clutch of manual cars. Monitoring the same factors, the system is able to reactivate the engine when a driver resumes their journey. Because cutting the engine means there will be no power, the system is attuned to particular nuances. For example, if a motorist is using the air conditioning, or the car is not running at its optimal temperature, the technology will be bypassed so that it doesn’t have a detrimental effect. Additionally, where a motorist might be approaching an idle position and suddenly has to make a correction to react to moving traffic, tandem solenoids are used to make the adjustments run smoothly. While these areas have been a point of concern in the past, technology has vastly improved in recent times. In recent years Mazda even pioneered technology in this area, whereby a vehicle’s pistons are controlled during the deactivation process, before combustion and added torque are used to restart the motor. The other major concern among motorists has centred around excessive wear on the motor and associated parts. After all, with an estimated 10x as many stop-start scenarios over the life of a vehicle, it’s only reasonable to assume there would be additional strain, right? And there certainly is! However, manufacturers have offset this by utilising heavy duty parts for the starter and battery, while the bearings on an engine are now self-lubricating, or coated with lubricating oils (to reduce friction with the crankshaft). 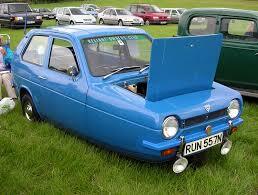 Manufacturers have also been quick to point out their part in tackling emissions. Like with anything however, real-world testing is where results matter most – and this of course will significantly depend on the driving conditions. In most instances, the technology will realise a modest fuel saving if the vehicle is idle for periods greater than one minute. Drivers will also need to keep in mind that even if they do save on fuel expenses, replacing the ‘heavy duty’ parts will be dearer than their ’normal’ counterparts. And if that doesn’t sound like a favourable prospect, just remember that with the flick of a switch, many of these systems can be overridden so you can keep on moving. Well, I guess we saw this one coming as soon as the driverless car concept started becoming more than being reserved for use by science fiction authors. Audi has been doing some tinkering to find out if a driverless car can get faster lap times than a conventionally driver car. For most of the designers and other boffins playing around with driverless cars (i.e. Google, Volvo and Toyota), safety is the main idea. Human error is the main cause of car accidents, so by getting technology to do it, the human error is thus eliminated (although I’m reminded of the saying that came out in the 1980s: To err is human but if you really want to stuff things up, use a computer). However, when Audi started modifying an Audi RS7 to make it into a driverless car, the idea was to see if a fully computerised driverless car could do it faster than a real person. One of the big secrets behind why this driverless car gets such good lap times is that the tracks are pre-programmed into its system. We all know that the one thing that computers do a lot better and quicker than humans is to carry out complex mathematical operations. This means that a driverless car doing laps can calculate the perfect lap line, probably with a bunch of quadratic equations (see, they are useful in real life rather than a torture inflicted on you during high school mathematics). 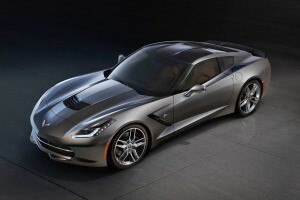 It can also calculate the perfect time and level of braking and acceleration to get around the curves perfectly. What’s more, the car probably doesn’t have to worry about driver discomfort and the amount of G-force involved, meaning that if it needs to brake hard or swing around a corner hard, it can, even though this would feel ghastly for the human body. And the car can adapt itself to the conditions. It’s pretty amazing; there’s no doubt about that. Part of me loves the idea that the effect of any momentary distractions and bad habits can be eliminated just like that. However, there’s another part of me that’s just a little bit technophobic and doesn’t like the idea at all. I mean, we’ve all seen how computers and other electronic equipment can throw wobblies and do what you didn’t intend them to do at awkward moments. Take my electronic keyboard (of the musical type), for instance. After being in storage for a month, it developed the habit of suddenly making a loud “WOP” noise at random and resetting every single tone to plain piano (including the preprogrammed drumbeats), which means that we can’t take the out to perform in public because it’s got faulty electronics that cost a bomb to fix. Imagine if the circuitry in a driverless car failed at a critical moment – it would be a lot worse than merely embarrassing. And we all know how spell checkers, autocorrect and speech recognition software can get things badly wrong. One clanger I’ll never forget that happened to me were when Microsoft Word decided that the British slang for gumboots, “wellies”, should really have been “willies”. The other was when my phone decided that instead of texting my brother “Dropping off hay bales at your place,” it should have been “Dropping off gay baker at your place.” Check out the website http://www.damnyouautocorrect.com/ for worse examples. Again, if simple things that think for themselves can get it so badly wrong, then can you imagine what would go wrong with a fully driverless car? The other objection I have to a driverless car is that it takes all the fun out of car ownership and driving. 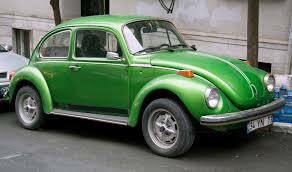 Remember the day when you first got your car licence and could actually be in charge rather than merely sitting in the passenger seat being driven? Driverless cars seem to be a bit of a step backwards. If they become really common, why bother learning to drive at all? For that matter, if all you want on your commute is to sit back and check out your social media feed, read a book or just daydream, then why not just take public transport? However, if they manage to iron out any electronic kinks that are the equivalents of autocorrect fails and other gremlins, then it is kind of exciting to think of a world where drunk drivers, idiots who can’t keep their eyes off their mobile phone and other distracted drivers won’t be a problem. I know I’ve got a few bad driving habits myself that an autonomous car would probably correct. I guess that people felt jumpy about automatic gears when they first came out; they certainly thought that the internal combustion engine was black magic when Herr Benz first developed it. So what do other people think of the driverless car? A great idea or a bit of a party pooper? Would you ride in a driverless car? Own one? Or would you rather stay firmly in charge of things? Ever since Toyota came out with the landmark Prius, the first hybrid car to really capture public attention, more and more manufacturers have been coming out with hybrid engines. Everybody’s doing it, from Mercedes-Benz to Nissan (well, not quite everybody, but you know what I mean). You might be running your eyes through the reviews we have here at Private Fleet and wondering if a hybrid will be right for you. Surely, you ask yourself, a hybrid will be cheaper to run and better for the planet. Why shouldn’t I buy a hybrid car? Do you live in the city or in the country? Hybrid cars do best if they are driven around town. The stop–start style of driving and the low speeds are the moments when the electrical motors in the hybrids are designed to kick in. 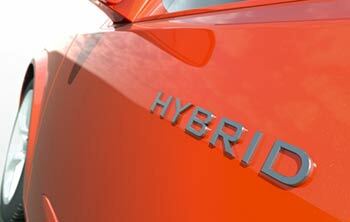 If you do a lot of round-the-town driving, then a hybrid engine will improve your fuel economy figures. However, if you live out in the back blocks and/or do a lot of open road driving, the electric part doesn’t quite get the same chance to do its thing and you may get similar fuel economy figures with a regular petrol or diesel engine (of course, this depends on how you drive but that’s another story). By a petrolhead, I mean someone who likes to hear the roar of the engine and chooses vehicles based on their performance. As hybrids tend to be quiet (electric motors are whisper-quiet) and tend to not quite have the performance flair of their petrol and diesel equivalents – although the designers are working on this one – they might not press your buttons. On the whole, hybrids tend to be smaller vehicles rather than larger ones that fit in the kids, their friends, the sports gear and the dog. Again, this will probably change in the future, but it can be very hard to find a hybrid vehicle that has seven seats. But not impossible: you do have a choice between a Nissan Pathfinder Hybrid and a Prius V . It may be tricky finding a second-hand version if you can’t afford to buy new, especially as the Pathfinder hybrid has only recently been released. If you’re like my sister-in-law and have six kids plus a dog, then you may need to postpone getting a hybrid. On the other hand, if you’ve only got a couple of kids or if you can afford to buy new, then you can probably find a suitable hybrid. Do you need to tow trailers, caravans or horse floats? If you do a lot of towing, then the extra demand made on the engine by getting that load on the back up to speed will mean that you won’t get the main benefits of having a hybrid engine. What’s more, as mentioned above, hybrids tend to be on the smaller side and small vehicles don’t quite have the towing ability of bigger brutes (not to mention making you look a bit silly if you are a contractor or tradie). If you are thinking about a plug-in hybrid, do you know where your nearest charging station is? For some reason, Northern Territory doesn’t seem to be too well supplied with charging points, at least according to myeleectriccar.com.au . However, most other main centres in Australia and a lot of minor centres have charging stations for plug-in hybrids and electric vehicles. However, if your nearest charging station is miles out of your way, then don’t get a plug-in hybrid. If you can’t recharge it properly, you aren’t going to get the benefits of going plug-in. Either stick to an ordinary hybrid or go for fossil fuels – or put up with the higher power bills of at-home charging (you thought your mobile phone was bad…). Holden Racing Team Lose Out As Holden Drinks Red Bull. 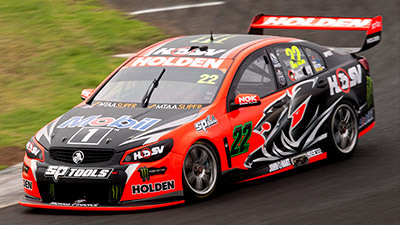 Holden has confirmed its commitment to Supercars and motorsport in Australia, announcing a new three-year deal with Triple Eight Race Engineering to form the Red Bull Holden Racing Team from 2017. Holden also announced that the next-generation Commodore will be on the Supercar grid from 2018. 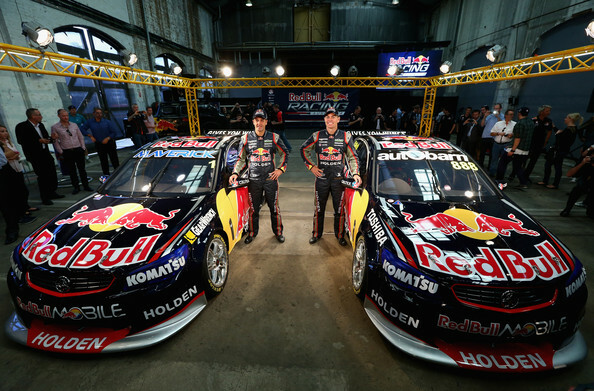 The new factory-backed Red Bull Holden Racing Team will develop, build, race and win with the next-generation Commodore Supercar from 2018. What’s Driving the Push for Ethanol Fuel? 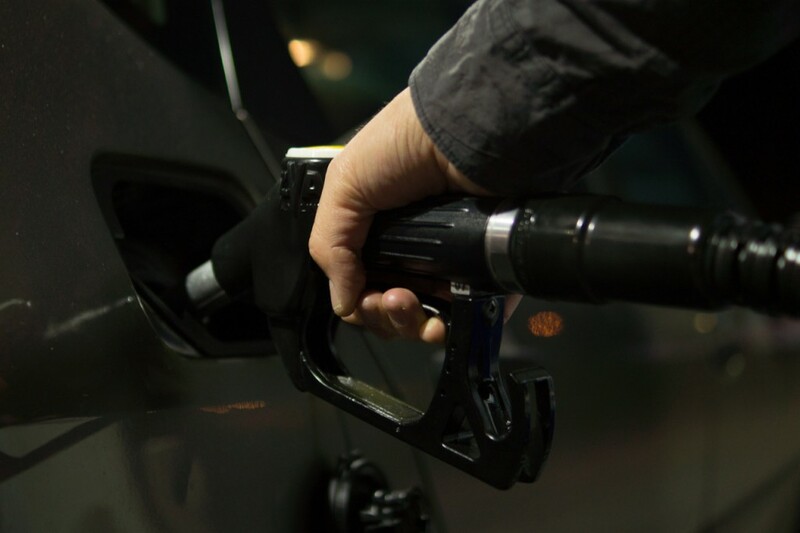 Despite years failing to gain traction at the bowser, the NSW government recently paved the way for changes that will renew its efforts to increase the availability and uptake of E10 petrol across the state. For those unfamiliar, in 2007 the NSW government set a mandate for 6% of all fuel sold across the state to be E10. To date however, uptake has been limited to well below 3%, as motorists shun the product in favour of premium fuels. Through laws, which are expected to come into effect from September, businesses which were previously exempt from selling ethanol-blended fuel will now be required to sell the product. It has also been announced that in 2017, $4.5m will be spent on advertising to clarify the “myths” surrounding E10. While larger fuel businesses have long been stocking ethanol-blended fuel, small and mid-tier retailers are those who will be most affected. The Sydney Morning Herald was one of many to draw attention to the seeming inequality of the proposal, arguing smaller retailers “will be forced to spend an average of $140,000 a site to upgrade their storage tanks”, while the annual profits of such sites are only in the vicinity of $60,000. With the product failing to make inroads within the market, why then is the government persisting and spending more to promote it? It’s hard to know the exact reasons, but reports have confirmed ethanol producer Manildra has made sizeable contributions to the Coalition party. At one stage, its representatives even met the NSW government 20 times in the space of just over a year. Behind these dealings, the government claims the action will shore up employment within the biofuels industry. 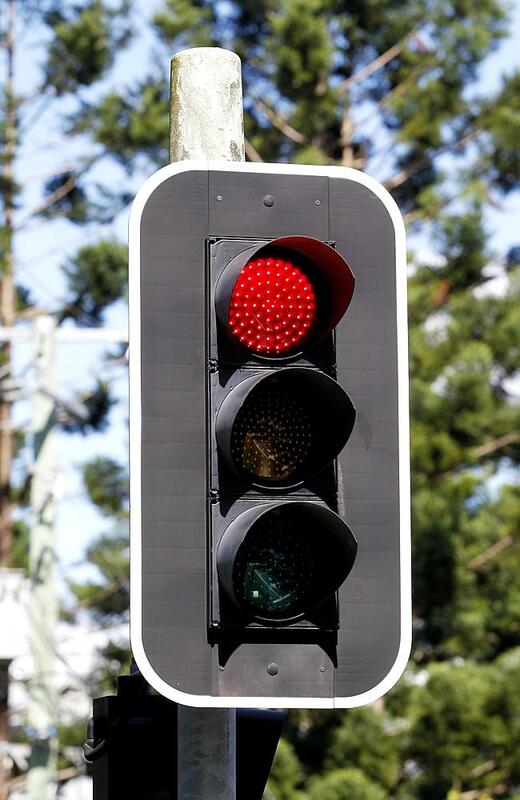 The problem however, is the lack of consideration for smaller businesses who may be required to close – up to 542 of them according to the Australian Convenience and Petroleum Marketers Association. And if that happens, you can bet the oil majors will be eyeing those sites, flush with the cashflow their smaller peers are ill afforded. The result? Job losses, less competition, and higher petrol prices for motorists. Smaller businesses have made it clear, as they did the last time the government tried to phase out unleaded petrol, they won’t take the changes lying down. It has already been claimed, in the absence of any redress from the government, smaller retailers will be forced to increase petrol prices up to 8c per litre. Allowing bigger companies room to increase their own prices, consumers appear set to lose out. With this in mind, one has to question the legitimacy and true rationale behind this latest push. Given the last effort to change these laws in NSW failed dismally, as well as the shift in consumer preferences since then towards premium grades of fuel, it’s hard to conceive how such measures will help increase sales for a fuel demonstrating minimal evidence of environmental gains, as well as no certainty it is the most fuel efficient option or guaranteed to be the cheapest once you refuel. Government initiatives should be about finding win-win solutions – this however, has the hallmarks of a lose-lose solution, save for a select few. Suzuki Goes Back To The Future For The Baleno. Suzuki has resurrected a nameplate that, in its day, managed to sell solidly. The Baleno has returned, bringing with it both a familiar yet updated look and splashes of modern technology. There’s a two model range with a GL manual and auto and the range topping GLX Turbo. Here’s the skinny on the revamped Baleno. Key Features including Apple Carplay, Satellite Navigation, Reversing Camera and DRLs standard across all grades. GLX Turbo with powerful 1.0L Boosterjet turbocharged engine, with 16” Alloys, HID Headlamps, Digital Climate Control & more. Outstanding fuel economy of only 5.1L/100km (GL Manual). Suzuki Australia is pleased to announce that the all new Baleno is officially on sale in Australia. Suzuki’s new small hatch competitor redefines great value compact motoring in Australia, with the Baleno GL Automatic starting from just $17,990 Drive Away. The all new Baleno small hatch features more passenger space and legroom than the smaller Swift, whilst having a large cargo area with 355 litres of boot space, similar to a Corolla hatch boot and bigger than Mazda3 hatch’s boot. The stylish Baleno, with flowing lines customary of small segment hatchbacks, will also be available with Suzuki’s Boosterjet turbo engine. The Baleno GLX turbo boasts a better power to weight ratio than the Corolla, whilst returning outstanding fuel economy of just 5.2L/100km. A Wheel Thing will bring you a review soon. When the marketing team for a new vehicle put their heads together, they put a lot of thought into the name. At least that’s the theory. With some marques, they stick with a system of numbers and letters that let you know some of the details about the car, such as the engine size (this is the preferred method of Mercedes-Benz and BMW). Other manufacturers pick an actual name: a word that will stick in the memory of potential customers and possibly capture what the spirit of the vehicle is. Often, the design team look to the animal world for images of beauty, speed and possible danger; alternatively, they give them cute, cuddly names that are likely to appeal to the more family-friendly segment of the market. Blackhawk (Jeep Cherokee – although they might have had the military helicopter in mind… which is named after the bird). OK, so that’s cars that actually exist that are named after animals. What are some other possibilities that could work for the cars of the future? And what animal names definitely won’t work? Lynx – hang on, that’s men’s deodorant. Any other suggestions for animal names that will work – or that definitely won’t? Let us know in the comments! It’s said that the very first car race happened just a few minutes after the second car came off the production line. It’s also said that the first modifications to make a car go faster came just after that first race….by the driver that came second. 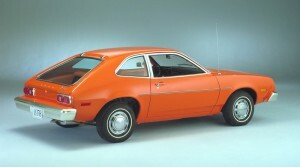 It wasn’t long after that when drivers began to modify their cars for looks, not just pace. And thus was street machining born. Aussie based magazine, “Street Machine” begat the now iconic Summernats, Australia’s largest street machine festival, in Canberra…that’s now given birth to an event that’s based in the centre of the country and has already been run once. September 2016 sees the return of the Red Centre Nats. Street Machine came out of a magazine called Van Wheels in the very early 1980s. Dedicated to the then popular movement of painting and modifying the bodies of panel vans, as that movement faded and spread to non van based vehicles, the magazine morphed into Van Wheels and Street Machine before finally dropping the Van Wheels monicker. In 1987 the first Summernats was held in Canberra, and has grown to be the biggets event of its type in the country. There’s been some truly remarkable vehicles to have been anointed the Street Machine of the Year or the Street Machine Grand Champion, including Gary Myers and his 1966 Ford Mustang.